August Motorcars is excited to offer this incredible H1 Hummer,presented in stylish Firesand Red over Beige Leather Seat Trim and perfectly complimented by Interior Wood Trim. Expertly detailed by our professional detail bay upon arrival,this very rugged and well cared for H1 comes to us in fantastic condition and passes our stringent 100 point inspection making it August Certified. 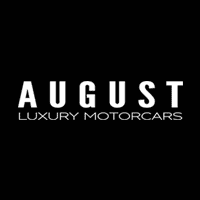 August Motorcars is excited to offer another rugged H1 Hummer,presented in sleek H1 Black over Black Leather Seat Trim and perfectly complimented by Grey Interior Trim. Originally bought out of Washington USA and imported to B.C. in 2011,this wicked looking and well cared for H1 comes to us in fantastic condition with 66,005 miles,and passes our stringent 100 point inspection making it August Certified.